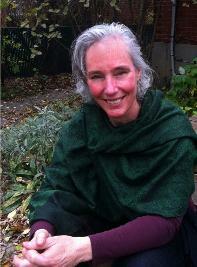 I am a masso-kinesitherapist and clinical massage therapist located in Montreal. The foundation of my work is based on my many years of experience as a therapist, my close to 2000 hours of training as well as my understanding of the inter-connectivity and functionality of the human body. I relieve chronic pain conditions and release restrictions in movement with a holistic approach focusing on the source of the problem and not just on the symptoms that are a result. Restrictions and adhesions in muscles, joints and in deep tissues are treated with therapeutic massage, passive and active stretching and movements as well as with other kinesthetic and neuro-muscular methods. Using this approach, not only are the immediate symptoms relieved but the stimulation and re-education of the nervous system leads to long lasting relief. Somatic awareness, good breathing techniques and postural analysis are other integral elements in the sessions. Simple exercises and other life style modifications are suggested as ways to reinforce the progress made during the session. I am always searching for novel ways to help my clients by integrating ideas and approaches I discover from the scientific literature and elsewhere.